How to eat more greens in 7 easy steps! We all know and understand the benefits of including greens in our diets - leafy greens are high in vitamins and minerals, full of fiber, and will improve your overall health and mood. This post is for those of you out there who feel like they're not eating enough greens, whether it's because you hate the taste or can't figure out how to eat more than what you're already including in your diet. There are countless ways to eat and consume greens, and I'm happy to share some of my favorite tips so you can consume more greens easily and improve your physical and mental state. 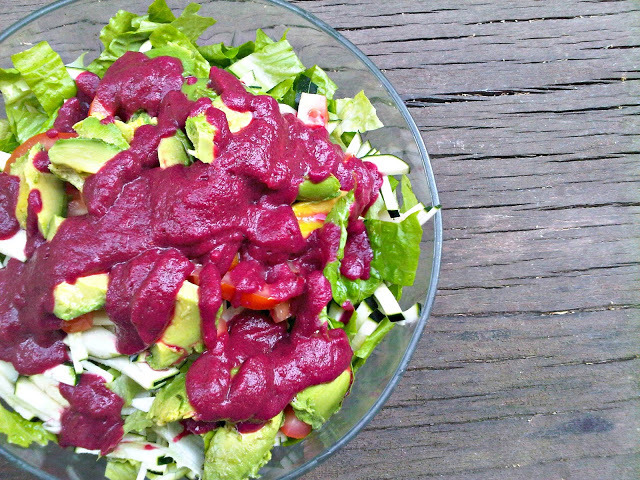 Make a big salad with somewhere between 50-80% greens. You can add some other veggies or fruit and make different combinations each time. Some of my favorite veggies to put on top of leafy green salads are bell peppers, cherry tomatoes, cucumbers, and carrots. Dress your salad with some lemon juice, olive oil, salt and pepper, and my favorite - tahini! #2 Grow your own leafy greens! This tip will improve your health and save you money. Unfortunately, most if not all of the fruit and veggies we consume these days are full of pesticides, and organic produce is not always available or might be expensive in some countries. Growing your own leafy greens is a perfect way to ensure you're eating completely organic greens. If you live in the city and think you cannot grow anything inside your small apartment - think again. Even the smallest apartments can contain small planters in the kitchen for greens like parsley or basil. Just give it a try and you'll find it to be extremely fun. Next time you're in a grocery store, take your time in the veggies section and look at the leafy greens stands - you might not know every single kind of green there is, but now is the best time to try. buy different lettuce, kale, spinach, green onions, chard, bok choy, parsley, cress or whatever greens you want, and give it a try - you might find yourself a new favorite. #4 Drink your leafy greens! A perfect way to consume more greens on a daily or weekly basis is by making green juices or green smoothies. 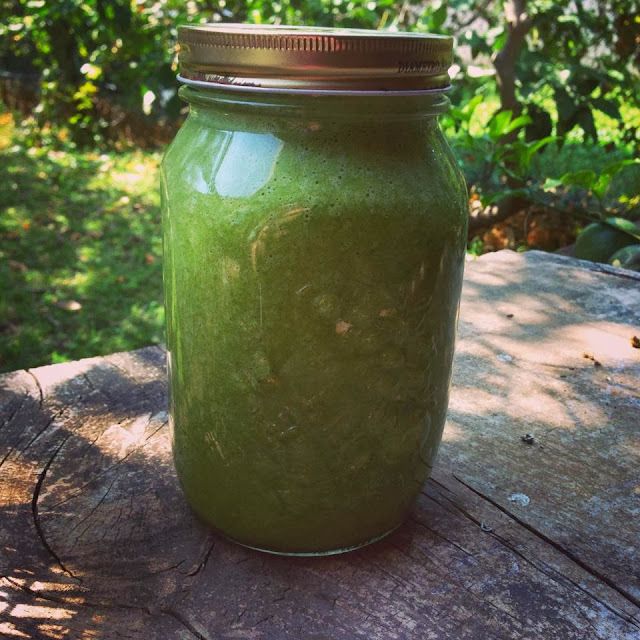 You can find out more about how to make green juice in my Simple Green Juice Recipe. Also, here's a recipe for a green smoothie with banana and kale. Try and toss some spinach in your favorite Indian dish, or sprinkle chopped parsley on top of your pasta. There are about million ways to include greens in recipes, but instead of looking for new recipes, add a twist to your own dinner, lunch or breakfast recipes. Adding the greens fresh while serving, or right near the end of the cooking process, is the best way to preserve the nutrients of the greens. It might come off as a strange habit, but actually, some of the sauces we all eat and love are made of leafy greens anyway - pesto is a perfect example. There are other sauces you can make for your pasta dish, salad dressing or a simple spread for your morning sandwich. 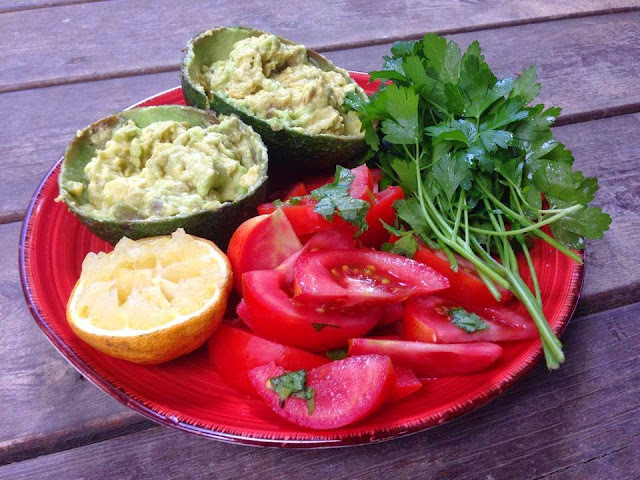 Look for recipes that are vegan so you can make sure it is healthy and good for you. #7 Add leafy greens to your sandwiches! That's an easy one. When making a sandwich, any sandwich (well, maybe not peanut butter and jam sandwich, but you get the point) - include greens in it. Not just for health reasons, greens in sandwiches can also keep the sandwich fresh longer, as the wet layers like tomatoes or pickles will have a buffer and will not wet the bread. You can also eat your greens as is - give it a try, it's nice! I hope this post is helpful. If you have more tips on how to eat more greens please leave a comment below. 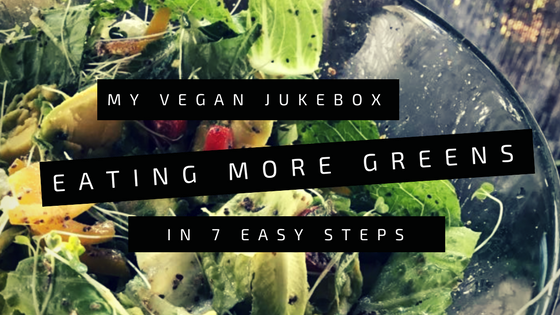 I'll also be happy to see you on My Vegan Jukebox Facebook page, Instagram, Twitter or Pinterest.